At Photography School we had to copy a Vanitas Still life (= a type of symbolic work of art especially associated with still life painting in Flanders and the Netherlands in the 16th and 17th centuries). 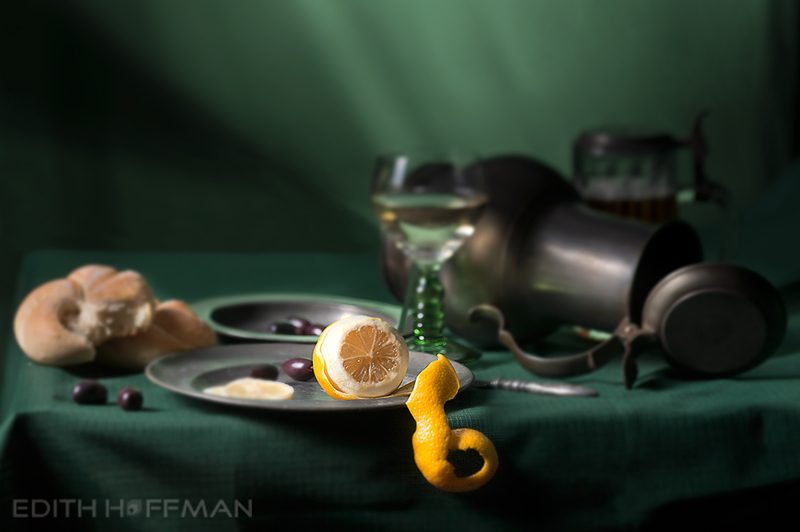 I choose a still life of Pieter Claesz and borrowed all the pieces for this still life from an antique shop. I gave this still life a twist. I made this photograph with a technical camera and used the “Scheimpflug” technique with the focus on the lemon. Normally, in a still life, everything is well focused; not so in this photograph.